Chicago Metropolitan area has three airports: O’hare Airport, Midway Airport and Mitchell Field just south of Milwaukee. O’hare and Mitchell are the most convenient to my office. The office is also located on the North Line of Metra (Union Pacific to Kenosha) at the Fors Sheridan Train Station. I need this! My insurance has cut the 9 zomig pills I was getting down to 3 per month even though they are generic. I am suffering terribly and am giving up hope. I go to a headache clinic in St. Louis, Mo but they have never mentioned this. Why? Rose, I have many patients who come into Chicago for a day to learn how to do Self Administered SPG Blocks to control and eliminate headaches and migraines. I don’t know why this technique was not shown to you but most doctors do not teach self administration of SPG Blocks. I have had 4 Sphenocath for chronic cluster headaches but the results only lasted for 5 or6 days. The pain specialist did not think I was getting enough results to continue. It does not sound like this would work for me. Any advise would be greatly appreciated. You sound like a perfect candidate for self-administration of the blocks. If they relieve pain for 5-6 days you could do them every 3-5 days to eliminate pain. I often have patients do them them twice a day initially. I have Atypical odontalgia that was under control for 6 years with low dose imipramine. Unfortunately, it has come back and is now resistant to ALL meds (tried other tricyclics, SNRi’s, oramucosal lidocaine, ketamine, and carbomazepine, and sublingual clonazepam and none helped. Also had a RT V2/V3 block at the lateral pterygoid plate, but that seemed to aggravate the pain. My neurologist gave up and now I am on my own. Even kratom has no effect. Would this help my issue? I am desperate for some relief. Thanks! 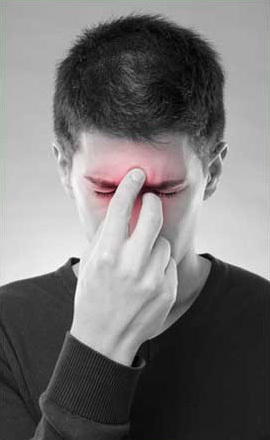 The Sphenopalatine Ganglion Block can be extremely effective for any pain associated with trigeminal nerve distribution. Each and every patient is unique and response is individual. A common cause of Atypical Odontalgia is referred Myofascial Pain as well. Pain from trigger points in myofascial pain can cause symptoms of atypical odontalgia and would respond to imipramine.